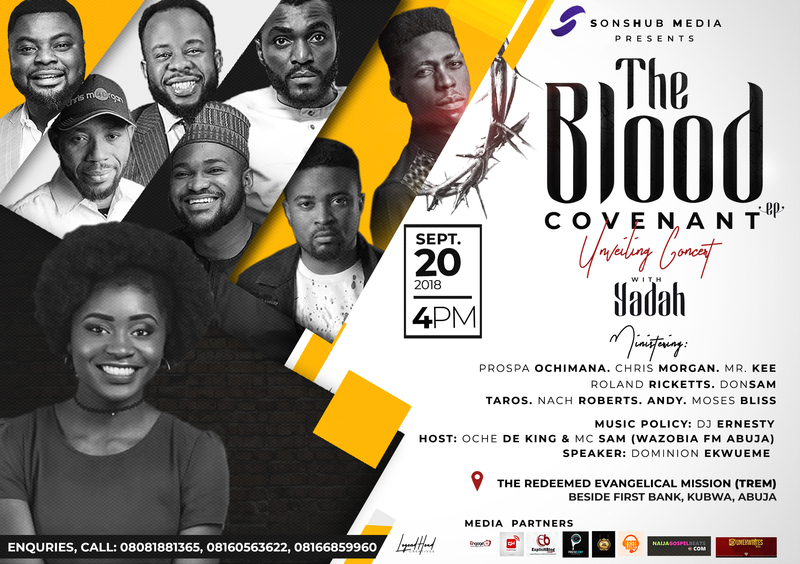 Yadah, the “Goodie Goodie” crooner is set to release the long awaited “The Blood Covenant” (EP). The EP will be commemorated with an unveiling concert. The Bible records that nothing is purified without the shedding of blood. In the Old Testament, bulls, sheep, goats and heifers were offered year in year out for the remission of sin. But here… Christ has been offered, once and for all. We are in a new covenant, where the father gave by Himself, a perfect, sinless lamb, a sacrifice that can’t be undone. A sacrifice that offers eternal solution to sin. It’s a sacrifice of love, sufficient and everlasting love. We are in a love covenant with the father, one that is forever, one that nothing can separate us from.